Beavers are best known for their natural trait of building dams in rivers and streams, and building their homes known as beaver lodges. They are the second-largest rodent in the world. Beavers continue to grow throughout life. Adult specimens weighing over 25 kg (55 lb) are not uncommon. Females are as large as or larger than males of the same age, which is uncommon among mammals. Beaver dams are created both as a protection against predators, such as coyotes, wolves and bears, and to provide easy access to food during winter. Destroying a beaver dam without removing the beavers takes a lot of effort, especially if the dam is downstream of an active lodge. Beavers can rebuild such primary dams overnight, though they may not defend secondary dams as vigorously. Beavers causing problems in your lawn or garden? 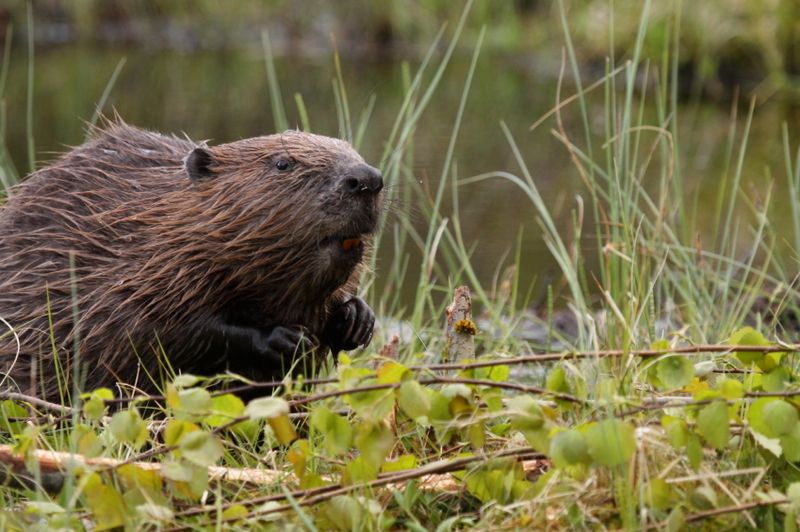 Beaver and beaver dams can be disruptive to your landscape; the flooding can cause extensive property damage. This disruption is not limited to human geography; beavers can destroy nesting habitat for endangered species, and often destroy mature trees for which they have no use. Nature’s Defense is the most powerful form of Elk Control available today and your natural solution that is easy to use and guarenteed to work. 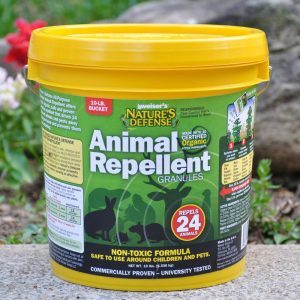 Now you can use the same research proven formula that professionals use as part of their animal control business. 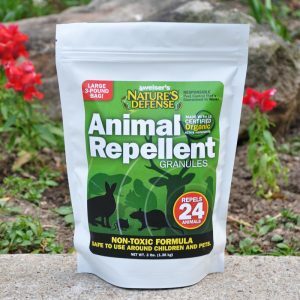 Controlling beavers is easy by simply sprinkling Nature’s Defense organic formula around the area you want to protect; your beaver problem will be solved quickly and easily. Sprinkle Nature’s Defense granular animal repellent directly over and around the areas that the beavers are causing damage too. Apply Nature’s Defense twice a week for the first two weeks, then once a week for maintenance. 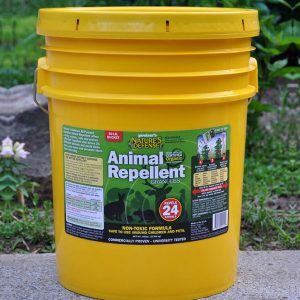 Note: Allow one week for Nature’s Defense All Purpose Animal Repellent to take full effect.